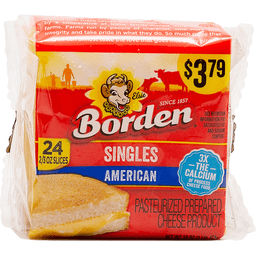 Borden® Cheese Singles American. Since 1857. 16 3/4 oz Slices. 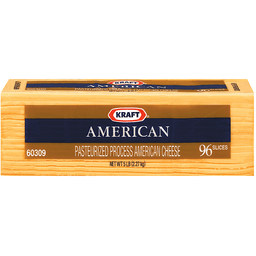 3X The calcium of process cheese food. 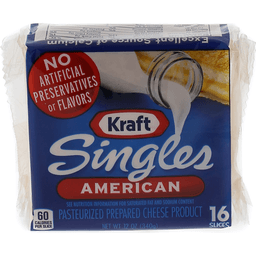 Pasteurized prepared cheese product. Net Wt 12 oz (340 g). Enjoy goodness. What goes into making something great Hard work. Quality. Care. 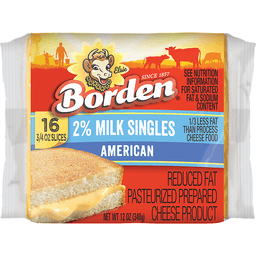 Every slice, shred and chunk of Borden® Cheese is crafted with these values. 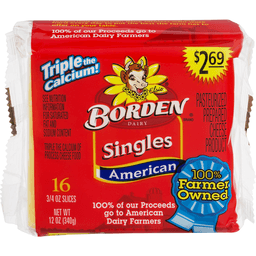 Borden® cheese is brought to you by a cooperative of 100% family-owned American dairy farms. Farms run by people of character, who work with integrity and take pride in what they do. So much pride that you can almost taste the love that goes into every bite. Gluten free. Borden and Elsie trademarks used under license. 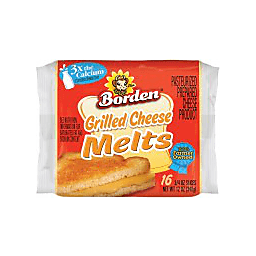 If you are not completely satisfied, please contact us at 1-888-337-2407 or www.bordencheese.com. 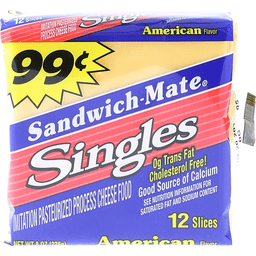 3x The calcium of process cheese food. 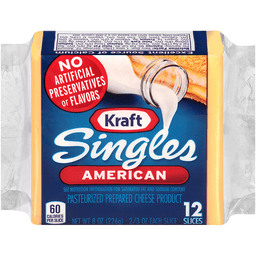 With calcium and vitamin D. Double the calcium of pasteurized process cheese. See nutrition information for fat, saturated fat & sodium content. 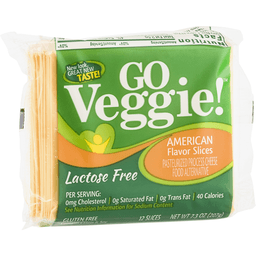 Calcium per serving in this product 30% DV vs process cheese 15% DV. Visit us at: kraftfoodservice.com or call weekdays: 1-866-538-2335. Please have package available. 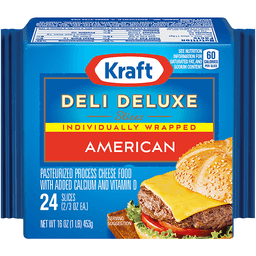 Kraft Deli Deluxe Individually Wrapped American Cheese Slices, 16 Ounce (24 slices)Decadent and creamy, Kraft Deli Deluxe brings melty goodness to any cheesy recipe. 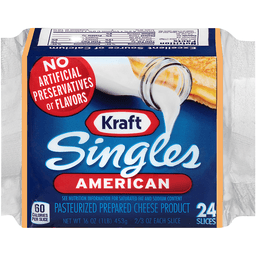 Pre-sliced and individually wrapped for added convenience, these cheese slices are an easy way to add classic American flavor to sandwiches, grilled cheese, burgers and more. 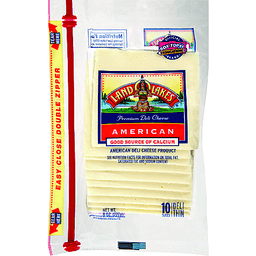 Land O Lakes® American Deli Thin Premium Deli Cheese. Good source of calcium. 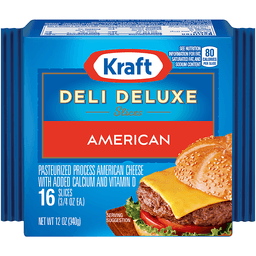 American deli cheese product. 10 slices. Where Simple Goodness Begins®. 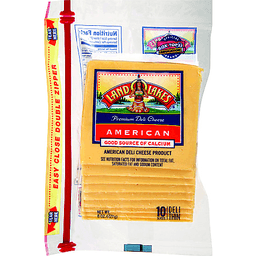 Enjoy Land O Lakes® deli cheese - America's favorite for a reason. Try these other delicious varieties: Swiss. Provolone. Muenster. Mild cheddar. Satisfaction guaranteed: Your comments are important! Call 1-800-328-4155. Visit our web site at: www.landolakes.com. 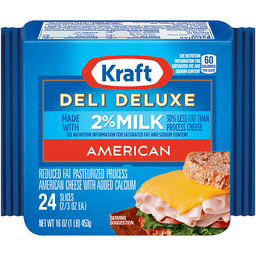 ©2015 Land O' Lakes, Inc.
Land O'Lakes® American Deli Thin Premium Deli Cheese. Easy close double zipper. Good source of calcium. 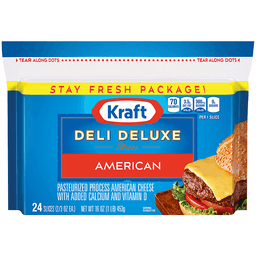 American deli cheese product. See nutrition facts for information on total fat, saturated fat and sodium content. 10 slices. Where Simple Goodness Begins®. Enjoy Land O'Lakes®. Deli cheese - America's favorite for a reason. Try these other delicious varieties: Swiss. Provolone. Muenster. Mild cheddar. Satisfaction guaranteed: Your comments are important! Call 1-800-328-4155. Visit our web site at: www.landolakes.com. 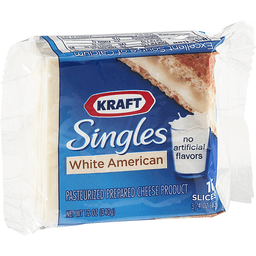 ©2015 Land O'Lakes, Inc.